With AdBlocker Pro installed once, you can stay free of ads on your Mac always. So you can enjoy only the content you want. 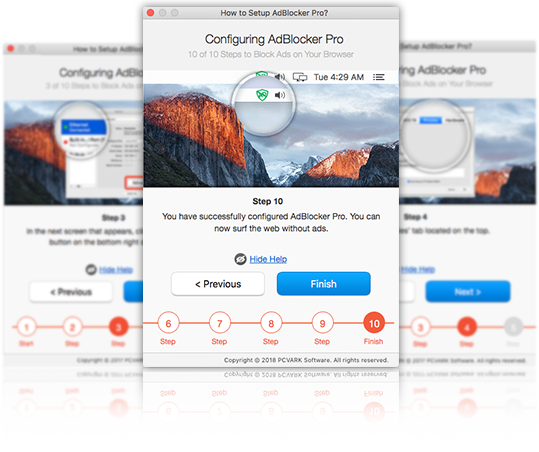 AdBlocker Pro requires no annoying sign-ups, e-mail verification or any personal information. We don’t want your details. It takes just a few easy steps to setup this mini app. Follow the easy-to-go-ad-free tutorial steps to start blocking unobtrusive ads right away. AdBlocker Pro removes YouTube ads, Facebook ads and other social media ads even before you see them. That surely enhances your browsing experience. Did an unobtrusive ad on a website embarrass you in front of a friend? Install AdBlocker Pro and save yourself from this embarrassment every time you flaunt a website or YouTube video or your Facebook profile. Ads have ruined our browsing experience by unnecessarily popping up in the middle of something we love to see and read. 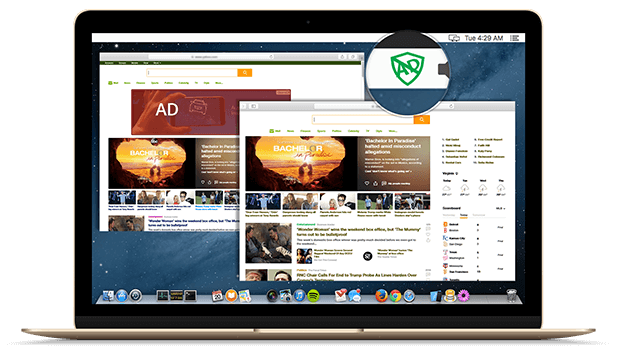 AdBlocker Pro revives your browsing and lets you see what you love, seamlessly. Data loaded by sites is cut by over 60% when you block ads on the web. That’s because loading ads consumes humongous data, leaving your browsing slow and interrupted. AdBlocker Pro is injected into your network settings so that you never have to install an ad blocking plugin whenever you install a new browser. This app blocks ads even before they are loaded. Besides ads, websites may often contain elements that distract you (like subscription boxes, discount popups). This app will never let you distract your browsing.